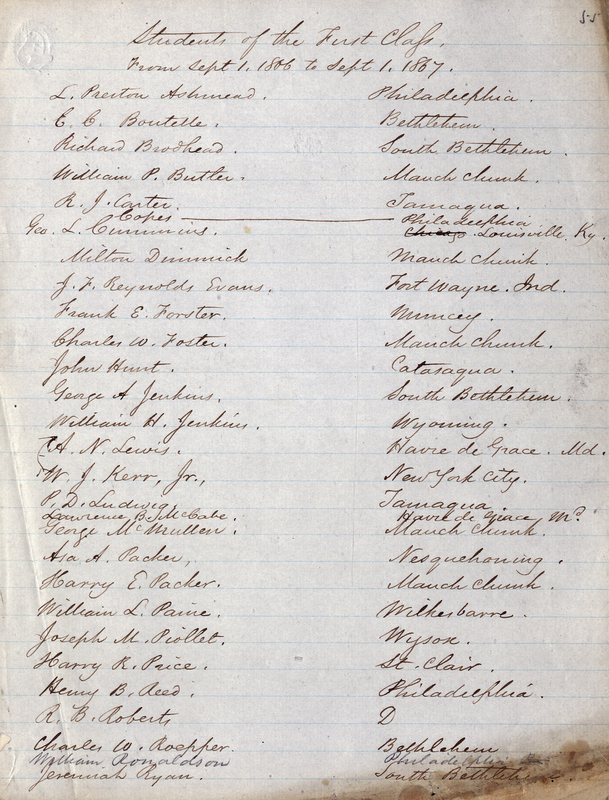 List of Lehigh University's first admitted students, 1866. Many of the thirty-nine students who entered Lehigh in 1866 were from Pennsylvania and had some family connection to the University. A few hailed from other states, including Indiana, Kentucky, Maryland, Wyoming, and New York. There was one international student in the first class, J.H.H. Corbin, who grew up in Barbados. Interestingly, fewer than half of the first class ended up actually graduating from Lehigh. One reason for the low graduation rate was that tuition was expensive, especially compared to peer institutions like Lafayette and the newly established Cornell University. To address this, in 1871, Asa Packer paid the tuition for all students.